A user-friendly guide to ASMR—the stress-reducing, sleep-inducing, tingly sensation you have to try!— featuring step-by-step instructions on ASMR best practices for home and professional use alike. With Brain Tingles, it’s now possible to stimulate—and even share—those feel-good tingles every day, and in real life! ASMRUniversity.com founder Craig Richard, PhD, explains what ASMR is, why it happens, and how to trigger it at home. No special training or fancy equipment required! Inside, you’ll learn the most common auditory, visual, and tactile triggers and how to create person-to-person ASMR scenarios (from a mock eye exam to a pretend manicure) with a partner, client, or friend. The end result? That calming, tingly euphoria that can be used for comfort, relaxation, restfulness, or even to set the tone for sleep—on demand! 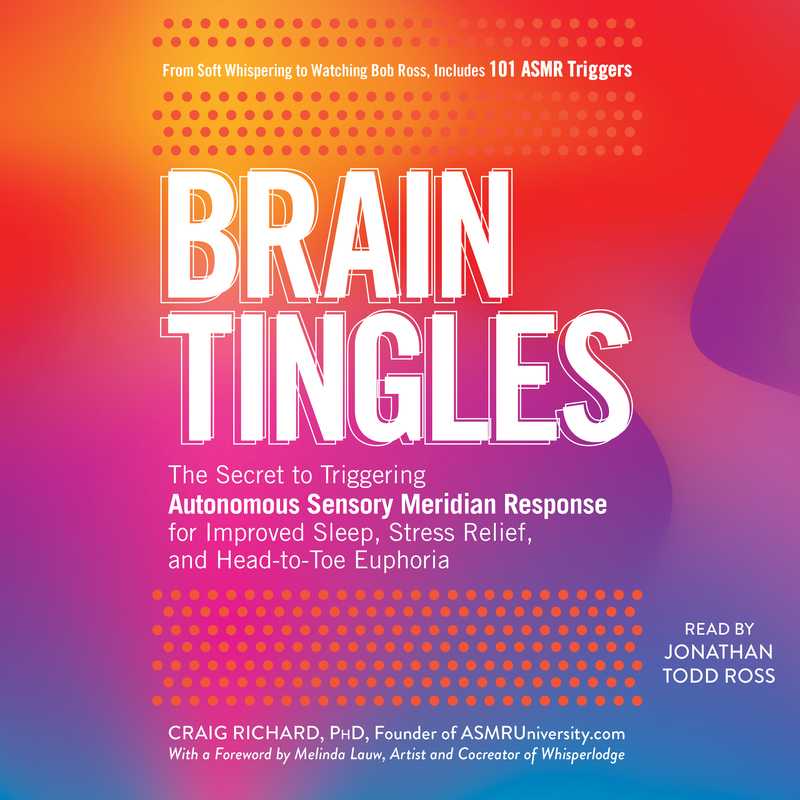 With a textured cover you can rub, stroke, or scratch to use as a tactile trigger, Brain Tingles is the ultimate ASMR tool, inside and out. Craig Richard, PhD, first learned the term ASMR in 2013, but has been experiencing its triggers and effects since childhood. He launched ASMRUniversity.com in 2014 to encourage and report about ASMR research and to provide helpful resources to assist with understanding ASMR. He’s the cofounder of the ASMR Research Project and has produced several ASMR podcasts. Richard is a professor in the department of biopharmaceutical sciences at Shenandoah University School of Pharmacy in Winchester, Virginia.